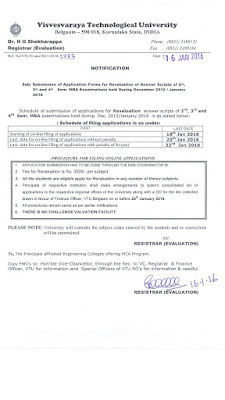 Results will be available on https://results.vtu.ac.in & also available on SMS the format RESULT(space)USN(Space)email id and send it to 5424204. 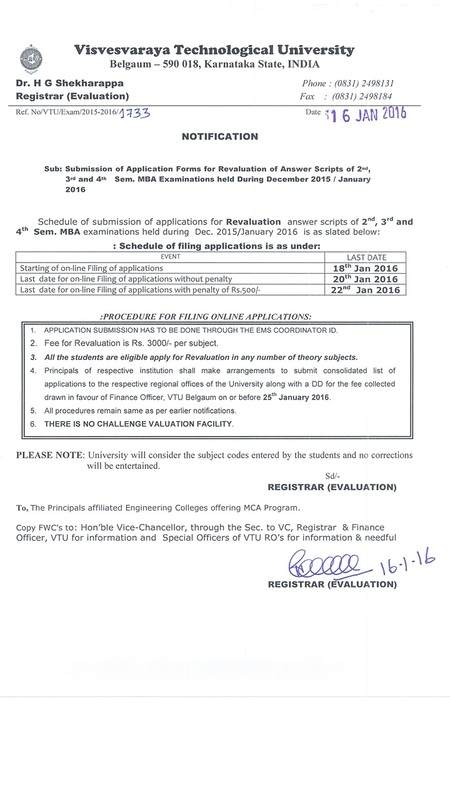 Submission of Application Forms for Revaluation of Answer Scripts of 2nd,3rd & 4th Sem MBA Examinations held during Dec 2015 / Jan 2016. We all should think of quality education as it shapes our life. Without a proper education, it’s very difficult to achieve life goal so I’d suggest people to be active when it comes to education and take a help of expert to choose right kind of education. Thanks for sharing such a great post which relate to education & career development. When it comes to education, select the course or diploma based on market demand and your own interest. Also you can grab high paying jobs by doing Advanced Diploma courses. Thank you for sharing such an amazing post on education.